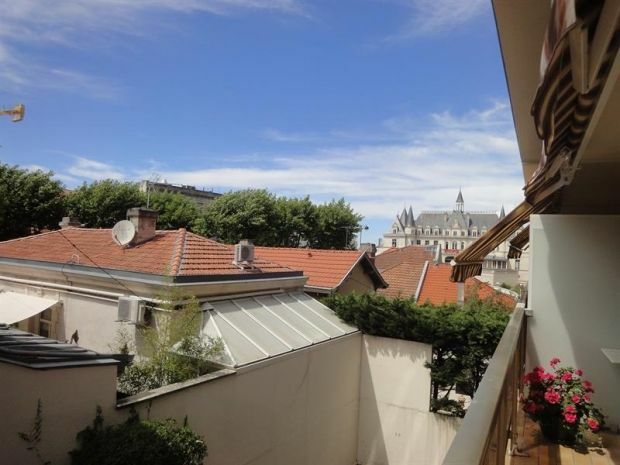 Pleasant apartment T2 about 45 m², on the 2nd floor of a residence with lift on one of the most beautiful avenues of Arcachon. Large terrace with garden furniture - Parking in the basement. 150 m from the beach, 100 m from the city center and 500 m from the station. Entrance with cupboard. Living room with sofa bed for 2 persons, TV and dining area, overlooking the balcony. Fully equipped kitchen, hob, microwave, oven, fridge, washing machine. A room with 1 bed for 2 in 140, cupboard and TV, overlooking the balcony. Bathroom. And separate toilet.